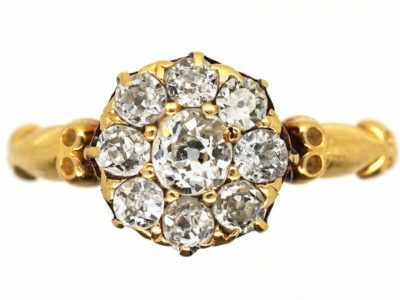 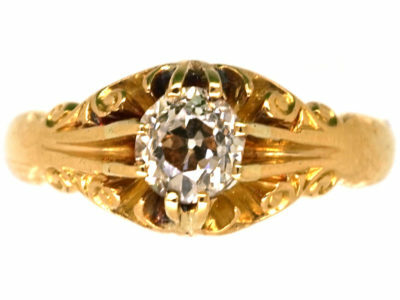 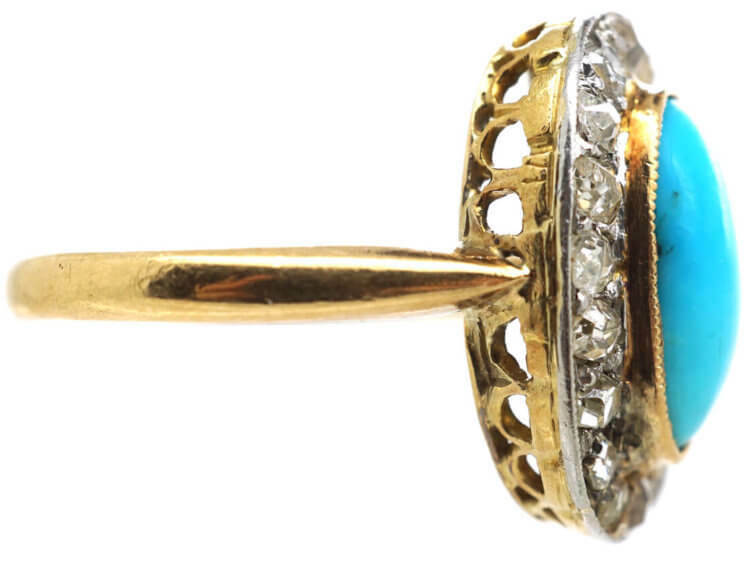 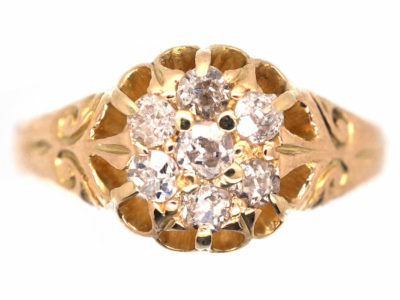 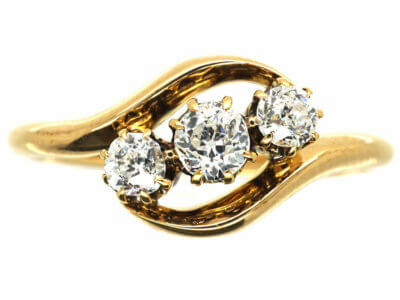 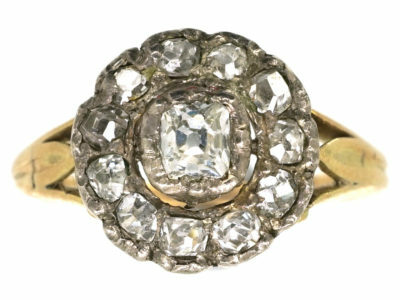 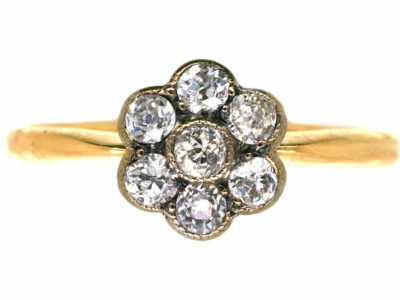 This is a beautifully made 18ct gold ring that was manufactured circa 1900-1910. 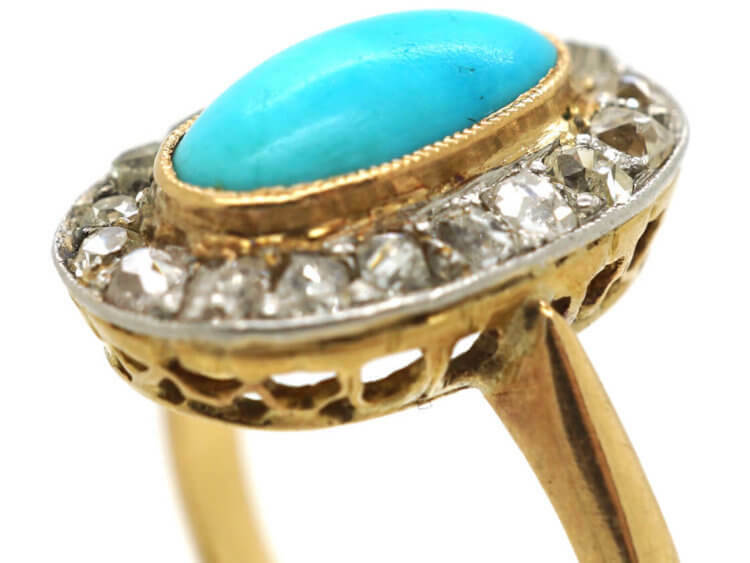 The natural oval cabochon cut turquoise has been set within a gold setting with a band of oval shaped diamonds around it in a platinum setting. 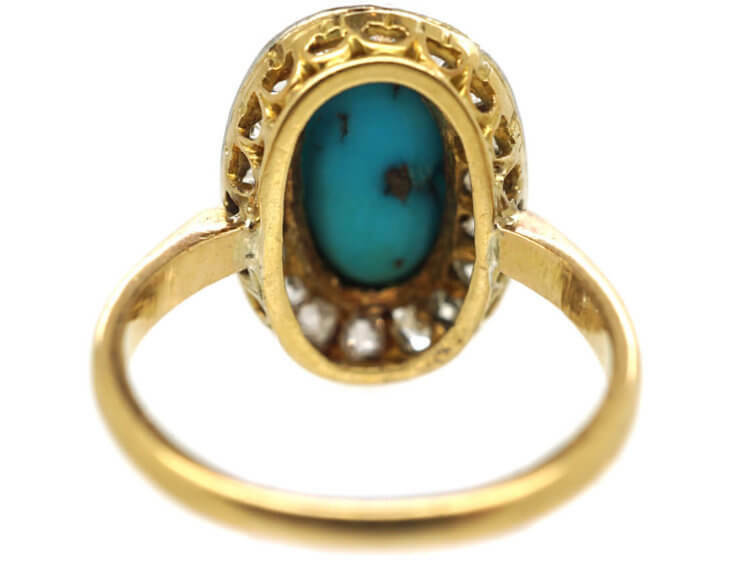 It sits low on the finger so is practical to wear. 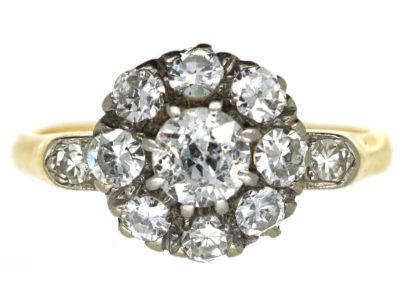 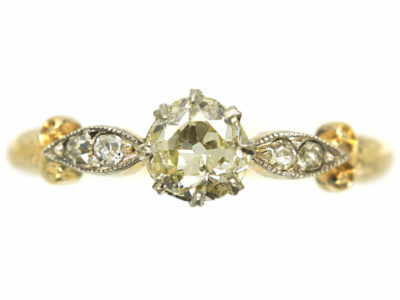 It would make a lovely dress or engagement ring. 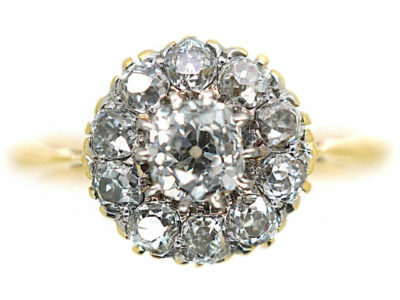 Please use the form below to be placed on our waiting list should this item become available. 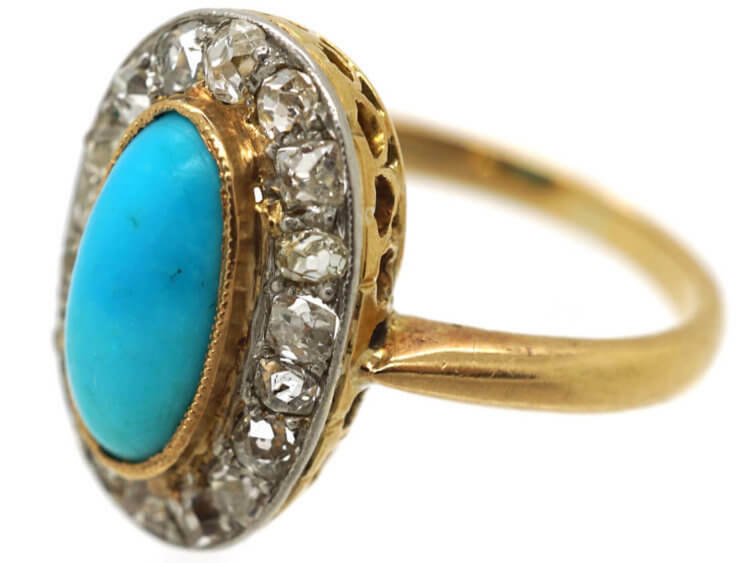 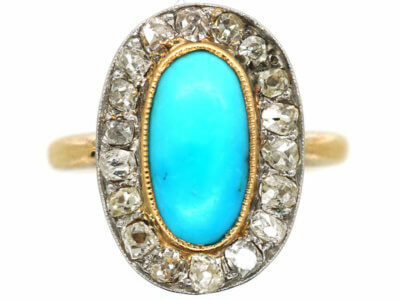 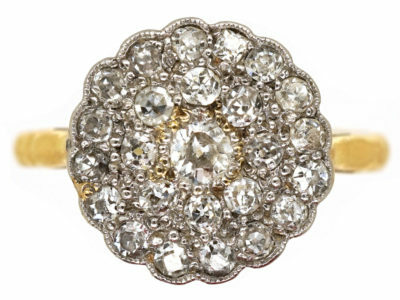 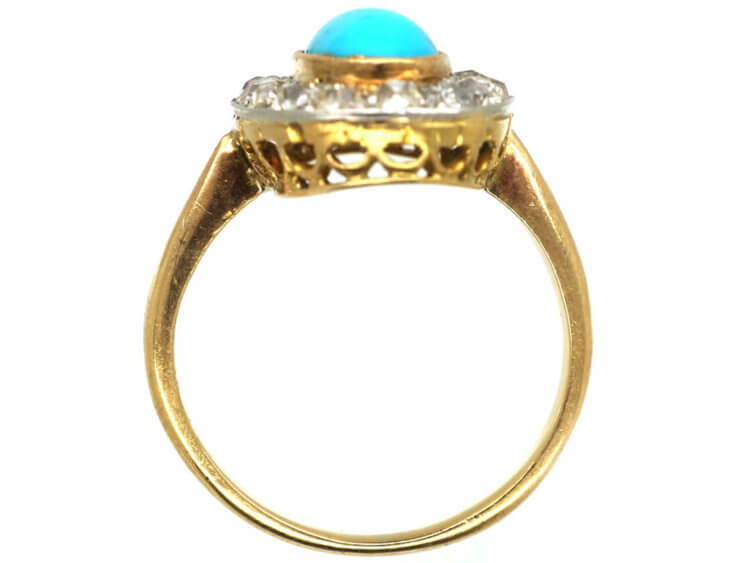 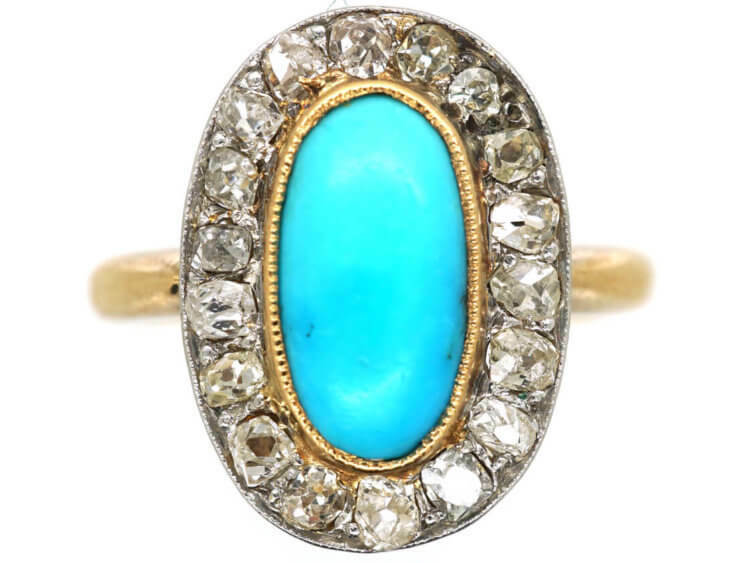 The Edwardian 18ct Gold, Turquoise & Diamond Oval Cluster Ring may still yours! 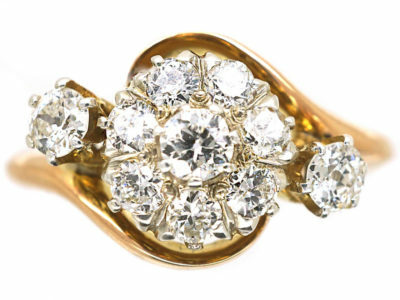 When a customer asks us to put an item on hold, we set it aside for 72 hours. 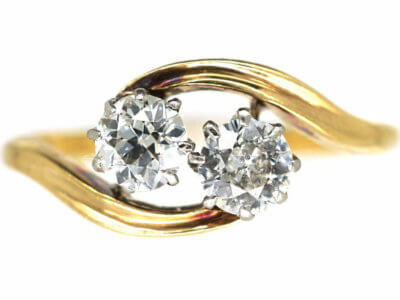 If the item is released from hold we will contact you immediately.